Though the imagery of the events of September 11, 2001, is profoundly etched in the collective human memory, there is a growing body of scientific evidence suggesting that these events were not brought about in the manner described by The 9/11 Commission Report of 2004. Indeed a vast body of evidence refuting the official account has been compiled in the encyclopedic work The New Pearl Harbor Revisited, which was awarded Publishers Weekly’s “Pick of the Week” in November, 2008. Though controversial, the persistent questions about the 9/11 Commission findings show that the matter is far from settled – indeed thousands of professional people are calling for a transparent re-investigation into 9/11, with full subpoena power. The September 11th attacks have done more to shape world conflict in this century than any other event. More resources are being committed to the resulting “war on terror” than to the foundational issue of the survival of our eco-system. Additionally, the “war on terror” is being waged in the oil-rich Middle East, whose promise of vast oil supplies is delaying the development of alternative energy sources. As we saw above, in the past year new scientific information has pointed strongly to the use of a high-tech military explosive (nanothermite) in the vertical free-fall collapses of the Twin Towers and Building 7. Many firefighters heard explosions in the basements, and nine years later, organized firefighters are strongly urging a new investigation. The cell phone calls from the airliners are now seriously in doubt, and it has recently been demonstrated that Osama bin Laden probably died in December 2001. The FBI, in any case, offers no evidence for his responsibility in the attacks. The two 9/11 Commission heads, and its senior counsel, have declared that the Commission was lied to. Evidence-based practice is a methodology for clinical medical practice whose application has expanded, since it first appeared in the early 1990’s, to guide professional decision-making in many other research-based fields. Evidence-based medicine (EBM) is “a way of providing health care that is guided by a thoughtful integration of the best available scientific knowledge with clinical expertise.” It integrates three streams of evidence: patient reports, physician observations, and current research that is continually updated into clinical practice guidelines. The journal Evidence-Based Library and Information Practice is now in its fifth year of publication, and is reporting advances in everything from the peer review of electronic search strategies to critical appraisal checklists that test the validity of study design, data collection, and outcomes. Newspapers are facing bankruptcy in the wake of the Internet and social media revolutions, and must adapt or die. This is particularly true with regard to the resounding silence about the 9/11 controversy in the American press. In the face of vigilant on-the-spot citizen videotaping and wiki-leaks of official wrong-doing, it no longer suffices to simply hand off government and corporate newswire releases as the dominant source of reality. The media underestimated its truth-hungry consumers – insulted them by withholding analysis and historical context – and now the hunt for reality on serious issues has led to grassroots sources that go far beyond the old “he said, she said” and “yellow journalism” models that have been offered up as good enough. The demand for such information may be seen by searching the Google News Archive for “9/11 truth”. The top-ranked article for 2010 dealt with 18 case studies of objective European, British and Canadian mainstream treatments of 9/11 during the past year. Thus we see that librarians and media professionals have both the responsibility and the ethical support of their associations to seriously question 9/11, especially if that responsibility is the public wish – and the polls indicate that it is. Perhaps the best evidence challenging the official story has been compiled by Prof. Emeritus Dr. David Ray Griffin, who was mentioned above. Griffin taught theology and the philosophy of religion, with a heavy focus on the relation between religion and science, for 35 years, and has written nine carefully researched and documented books that together represent “the known” in relation to verifiable knowledge about 9/11. At the present time, a website offering Dr. Griffin’s books, videotaped lectures, and online essays is the best single source of online evidence-based knowledge on 9/11. 9 scholarly papers published as a compendium in 2006 by Elsevier Science Press, suggesting US complicity in a false flag operation. The Hidden History of 9-11-2001 was never reviewed in the mainstream press. Other resources include Morgan and Henshall’s 9/11 Revealed and Flight 93 Revealed; two books by Prof. Michel Chossudovsky, America’s “War on Terrorism”, and War and Globalisation: The Truth Behind September 11; and the Complete 9/11 Timeline investigative project. An association of professional architects and engineers held a worldwide press conference in February 2010, to announce 1000 members calling for a new investigation into 9/11 – based on the way the Twin Towers and Building 7 fell. In late 2009, Canada’s flagship investigative journalism program, CBC’s Fifth Estate, explored both sides of the 9/11 controversy in depth – the first balanced documentary in North America to do so. 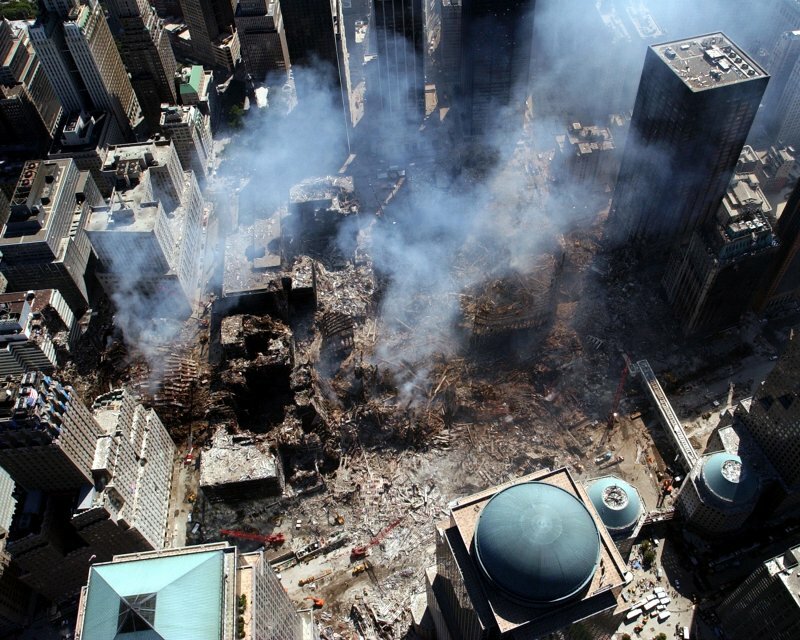 Niels H. Harrit, Jeffrey Farrer, Steven E. Jones, et al., “Active Thermitic Material Discovered in Dust from the 9/11 World Trade Center Catastrophe,” Open Chemical Physics Journal, Vol. 2 (April 3, 2009): 7-31 (http://www.bentham.org/open/tocpj/openaccess2.htm). The media follow-up is documented in: Elizabeth Woodworth, “The Media Response to the Growing Influence of the 9/11 Truth Movement. Part II: A Survey of Attitude Change in 2009-2010,” Global Research, February 15, 2010 (http://www.globalresearch.ca/index.php?aid=17624&context=va). A thorough study of the Commission’s failings is available in: David Ray Griffin, The 9/11 Commission Report: Omissions and Distortions, Olive Branch Press, 2004. An online list of 115 failings may be seen in: David Ray Griffin, “The 9/11 Commission Report: A 571 Page Lie,” Global Research, September 8, 2005 (http://www.globalresearch.ca/index.php?context=va&aid=907). Benjamin DeMott, “Whitewash as public service: How The 9/11 Commission Report defrauds the nation,” Harper’s Magazine, October, 2004 (http://www.harpers.org/archive/2004/10/0080234). Thomas H. Kean and Lee H. Hamilton, “Stonewalled by the C.I.A.,” New York Times, January 2, 2008 (http://www.nytimes.com/2008/01/02/opinion/02kean.html). New Statesman. “The 50 people who matter today,” September 24, 2009 (http://www.newstatesman.com/global-issues/2009/09/world-fashion-gay-india-church). Peter Barber, “The Truth is Out There,” Financial Times, June 8 2008 (http://www.ft.com/cms/s/2/8d66e778-3128-11dd-ab22-000077b07658.html). Patriots Question 9/11. “Responsible Criticism of the 9/11 Commission Report” (http://www.patriotsquestion911.com/). FBI, “FBI Ten Most Wanted Fugitive[s], Usama bin Laden. (http://www.fbi.gov/wanted/topten/fugitives/laden.htm). Kean and Hamilton, “Stonewalled by the C.I.A. ;” John Farmer, “The Ground Truth: The Untold Story of America Under Attack on 9/11,” Riverhead, 2009, p. 4. As a Canadian health sciences librarian, I spent many years delivering “best evidence” to health professionals in the British Columbia Ministry of Health. United States. National Library of Medicine. “Evidence-Based Practice and Health Technology Assessment,” Medical Subject Headings, 2009. (http://www.nlm.nih.gov/hsrinfo/evidence_based_practice.html). 5th International Evidence Based Library & Information Practice Conference, Stockholm, June 29th – July 3rd 2009 (http://blogs.kib.ki.se/eblip5/). “The 10 Most Endangered Newspapers in America,” Time Magazine, March 9, 2009 (http://www.time.com/time/business/article/0,8599,1883785,00.html). Philip Meyer, “The Elite Newpaper of the Future,” American Journalism Review, October/November 2008 (http://www.ajr.org/article.asp?id=4605). Richard Sambrook, “What’s So Funny About News, Comment, and Understanding?” May 5, 2009 (http://sambrook.typepad.com/sacredfacts/2009/05/whats-so-funny-about-news-comment-and-understanding.html). Wikipedia. “September 11 attacks opinion polls,” May 25, 2010 (http://en.wikipedia.org/wiki/September_11_attacks_opinion_polls). Lev Grossman. Why the 9/11 Conspiracy Theories Won’t Go Away,” Time Magazine, September 3, 2006 (http://www.time.com/time/magazine/article/0,9171,1531304-1,00.html). WorldPublicOpinion.org, “International Poll: No Consensus On Who Was Behind 9/11,” September 10. 2008 (http://www.worldpublicopinion.org/pipa/articles/international_security_bt/535.php?nid=&id=&pnt=535&lb=btis). Code of Ethics of the American Library Association, 2008 (http://staging.ala.org/ala/aboutala/offices/oif/statementspols/codeofethics/codeethics.cfm). “A false flag operation is a staged attack, such as on a US ship, which is used to gain popular support for war against a predetermined enemy.” Ralph Lopez, Truth in the Age of Bushism, 2nd ed., CreateSpace, p. 97. “Status of Journalists and Journalism Ethics: IFJ Principles,” May 2003 (http://www.ifj.org/en/articles/status-of-journalists-and-journalism-ethics-ifj-principles). American Society of Newspaper Editors, “Statement of Principles,” 1975 (http://www2.sabew.org/sabewweb.nsf/8247d0ca4c256f7286256ad800773610/880622dc72b8016086256bf1006d227b!OpenDocument). Pete Brush, “Bush Opposes 9/11 Query Panel,” CBS News, May 23, 2002 (http://www.cbsnews.com/stories/2002/05/15/attack/main509096.shtml). George Washington’s Blog, “Whitewash,” January 17, 2008 (http://georgewashington.blogspot.com/2008/01/whitewash.html). Dan Rather, CBS News, “9/11: Dan Rather Says WTC Collapses Look Like Demolitions,” (http://www.youtube.com/watch?v=Nvx904dAw0o); Peter Jennings, ABC News, “9/11: Controlled Demolition Comparison,” (http://www.youtube.com/watch?v=0ptvvbaR0-U). Steven E. Jones et al., “Extremely High Temperatures during the World Trade Center Destruction,” Journal of 9/11 Studies, January 2008 (http://journalof911studies.com/articles/WTCHighTemp2.pdf). Steven E. Jones, et al., “Fourteen Points of Agreement with Official Government Reports on the World Trade Center Destruction,” The Open Civil Engineering Journal, vol. 2, 2008 (http://www.bentham-open.org/pages/content.php?TOCIEJ/2008/00000002/00000001/35TOCIEJ.SGM). Zarembka, Paul, ed., The Hidden History of 9-11-2001, Elsevier, 2006 (http://econpapers.repec.org/bookchap/rpevolume/volm23.htm). A second edition (paperback) from Seven Stories Press appeared in 2008, http://www.amazon.com/Hidden-History-9-11-Paul-Zarembka/dp/B002YX0BUU/ref=sr_1_1?ie=UTF8&s=books&qid=1274834040&sr=8-1. Michel Chossudovsky, America’s “War on Terrorism,” Global Research, 2005. CBC, Fifth Estate, “The Unofficial Story,” November 27, 2009. This program drew a record 377 public comments, ref. http://www.cbc.ca/fifth/discussion/2009/11/the_unofficial_story.html. Outside Canada, the documentary may be seen at http://www.youtube.com/watch?v=TkYlbpS-vVI. Matthew Engel, “US media cowed by patriotic fever, says CBS star,” The Guardian, May 17, 2002 (http://www.guardian.co.uk/media/2002/may/17/terrorismandthemedia.broadcasting). Satyavira on Fri, 11/19/2010 - 11:01pm. Douglas Hilton on Sat, 11/20/2010 - 9:01pm. Lots of comments on this video clip appear here. By 'tag-line' did you mean the part about the new airport screening methods? I didn't quite see how that negative development reflects badly on the truth movement. It puts the two together you are saying? 9-11 truth and body groping at airports? I still find myself amazed that Fox aired this in the first place. And that they're repeating it now. That's why I wrote the blog about planning how to respond if this takes off. It probably won't, but what if it did? There really is no specific 'we' to plan how to respond, so my blog entry goes nowhere. But it was the best I could do. Student on Sat, 11/20/2010 - 9:49pm. Douglas Hilton on Sun, 11/21/2010 - 6:37am. I never knew what the Mox News meant. So, it is a Fox-News-mocking website and/or YT account? Shows how with-it I can be. And I agree with your sentiments. At this point the 9-11 truth-seeking movement has a decent chance at going mainstream. Dumb idea to blow that chance by quirky associations, or actions. Student on Sun, 11/21/2010 - 1:01pm.